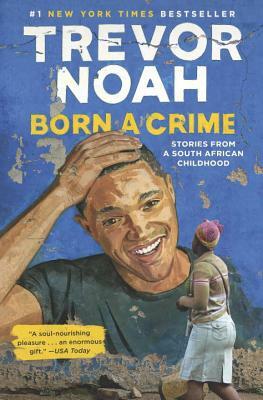 This entry was posted in Book Reviews and tagged apartheid, Born a Crime, comedy, coming of age, Daily Show, humor, Indiebound, Jon Stewart, justice, memoir, racial equality, South Africa, trevor noah by gretchenwing. Bookmark the permalink. Small world department. I’m going to a taping of Trevor’s show on Monday! Envy!!!!!!!!!!!!!!!!!!!! Blow the boy a kiss from me.